On September 8th, the Church celebrates the Feast of the Nativity of the Blessed Virgin Mary. The birth of Mary is celebrated nine months after the Solemnity of the Immaculate Conception which falls on December 8th. 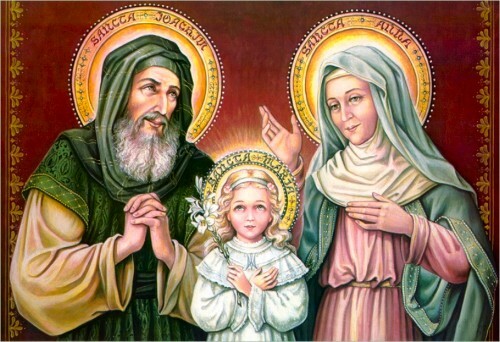 The Blessed Virgin Mary was born to Saints Anne and Joachim. She was immaculately conceived in the womb of St. Anne. God had preserved Mary’s soul from the stain of original sin so that she could become a worthy dwelling for His beloved Son, our Lord Jesus Christ. As we celebrate the birthday of Our Blessed Mother, I would like to share an excerpt from the book “The Life of Mary as Seen by the Mystics” compiled by Raphael Brown. This book combines the visions of four great Catholic mystics on the life of the Blessed Virgin Mary. The four mystics are Venerable Anne Catherine Emmerich, Venerable Mary of Agreda, St. Bridget of Sweden and St. Elizabeth of Schoenau. 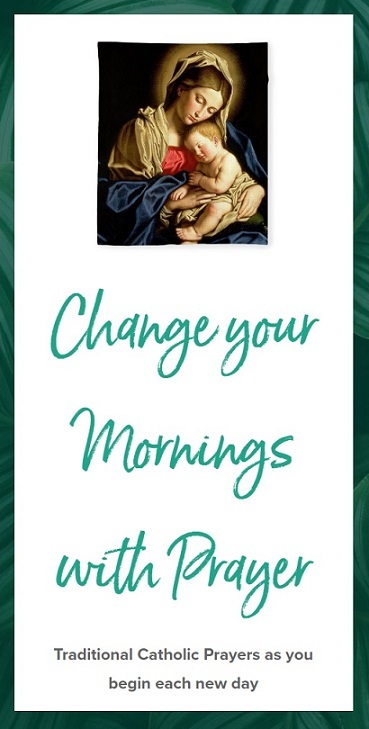 It includes such fascinating details as the birth and infancy of Mary, her espousal to St. Joseph and her Assumption into Heaven where she was crowned Queen of Heaven and Earth. Here is an account of the birth of the Blessed Virgin Mary as described in this book. Then, as Mary’s soul was infused into her body, her holy mother St. Ann was filled with the Holy Ghost and experienced an extraordinary devotion and happiness. Throughout the rest of her life and especially during the next nine months, she constantly received new graces and enlightenment concerning the great mystery of the Incarnation, and she frequently praised the Lord in canticles of love. One night she felt for the first time a slight tremor from the presence of her daughter in her womb. With profound joy she arose, dressed, and told St. Joachim the happy news, and then both gave thanks to God together. However, in order to increase her merit, God allowed St. Ann to undergo grievous trials during her pregnancy. Although Satan did not know that her daughter was to be the Mother of the Savior, he perceived that a strong spiritual influence proceeded from Ann, and therefore he did his best to tempt and disturb and harm her. But she resisted all his attacks with humble fortitude, patience and prayer. Then the enraged Devil tried to make St. Joachim’s house crash to the ground, but Mary’s protecting angels prevented such an accident from happening. Next, Satan incited some of St. Ann’s women friends to treat her with open scorn and mockery because of her late pregnancy. St. Ann did not permit herself to be upset by this injustice, but in all meekness and humility she bore the insults and acted with still greater kindness toward these women. In the end, as a result of her prayers, they amended their ways. Early in September, St. Ann was informed interiorly by the Lord that the time of her daughter’s birth was near. Filled with holy joy, she humbly prayed for a happy deliverance and sent for three of her closest women relatives. When she told St. Joachim, he rejoiced and went among his flocks in order to choose the finest lambs, goats and bulls, which he sent to the Temple in care of his servants as an offering of gratitude to the Lord. One evening the three women arrived and embraced St. Ann, congratulating her warmly. Standing with them, she poured forth her deep joy and thankfulness in a beautiful spontaneous canticle, which surprised and thrilled her friends. Then, still standing, they took a light meal of bread, fruit and water, after which they went to lie down and rest. St. Ann prayed until nearly midnight, when she woke her relatives and went with them into her oratory and lit the lamps. From a closet she took a small box containing some relics of the Patriarchs of Israel. Then she knelt before her little altar. While she was praying thus, a supernatural light began to fill the room. Noticing it, the three friends threw themselves onto the floor and hid their faces in awe. Soon the dazzling light entirely surrounded St. Ann, making her invisible. God gave her to understand that she was to bring up her daughter with all motherly love and care but without any outward show of reverence, while retaining inwardly her profound veneration for the future Mother of the Messiah. In this marvelous yet natural childbirth, St. Ann had been free from the usual labor and pains experienced by mothers. Now she herself bathed and wrapped the babe in red and gray swaddling clothes. As the bright mystic light vanished, the three relatives got up and to their keen surprise and joy perceived the lovely child in her mother’s arms. Then they sang a hymn of praise and thanks to the Lord while many invisible guardian angels also greeted the tiny Mary with heavenly music. At the moment of Mary’s birth, Almighty God gave to her pure soul a mystical vision of the Blessed Trinity in Heaven, and by a miraculous privilege He endowed her from birth with the full use of her reason and all her senses. Thus, like many of the saints, though to a far greater degree, even as an infant she knew and loved God with all her heart. And as soon as she opened her eyes on earth, she perceived with keen affection her good parents, St. Ann and St. Joachim, and then she saw the many angels which God had assigned to guard and protect her throughout her life. The Archangel Gabriel was sent to announce the great news of the birth of Mary to all the Prophets, Patriarchs and souls in Limbo. Upon hearing that at last the Mother of the Redeemer was in the world, they rejoiced and praised God for His mercy toward mankind. In all Nature there was at this time an extraordinary movement of joy, and many good people felt an unusual spiritual exaltation without knowing its cause. On the other hand, many evil men and possessed persons felt sorely disturbed. Simeon prayed fervently, and the devil left the man. Anna the Prophetess and another holy woman were shown in visions that a child of election had been given to Israel. The next day many friends and neighbors of St. Ann and St. Joachim came to see the baby and congratulate the happy parents. Everyone was deeply touched upon seeing little Mary lying in her cradle, wrapped in her red and gray swaddling clothes, and there was general rejoicing.